Episode 4 of the ongoing blog-series dedicated to the new Waveforms 2015 software brings us to the Waveform Generator and how it can help you refine, tweak, and improve your projects. Waveform Generators are used to test circuits by generating defined signals that are then fed into the circuit under analysis. You can have an arbitrary waveform generator that outputs whatever waveform the user has defined. 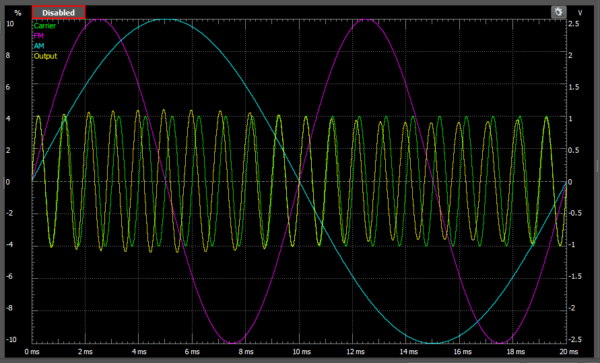 Or you can have a function generator that outputs predefined signals, like sine, square, etc. 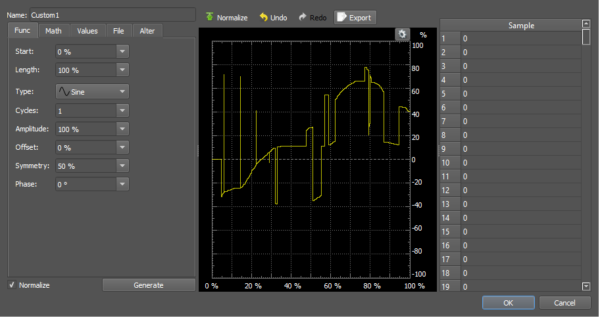 The Waveform Generator on the Analog Discovery 2 and Waveforms 2015 software is a combination of both types of generators. A free-hand waveform drawn with the mouse directly on the plot window. A sine wave modulated with both AM and FM. 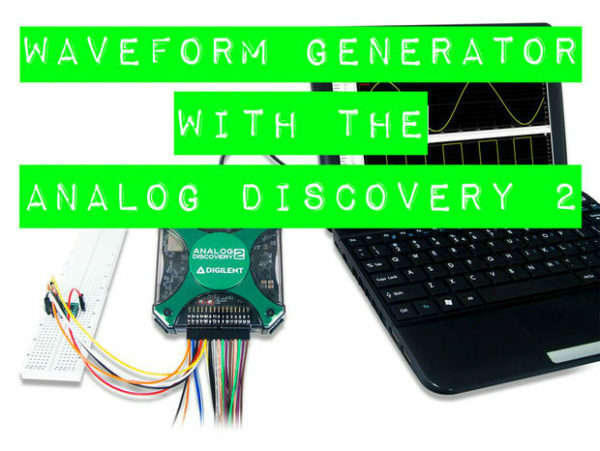 This is just a brief introduction to the highly configurable Waveform Generator tool using the Analog Discovery 2 and Waveforms 2015. For a more in depth tutorial, check out my Instructable! This Instructable goes in depth into the control toolbar, configuration panes, and the preview plot. Hopefully this will help you take advantage of this versatile software, and utilize it to generate just about any signal you need! As always, feel free to comment below with any questions! Next Article Digilent Design Contest 2017 is On!